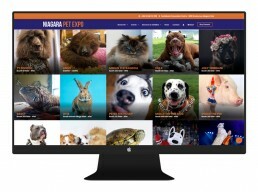 The Niagara Pet Expo required a complimentary colour palette and matching website to its parent company, The Canadian Pet Expo, which we designed and developed in early 2018. To meet project requirements and stay within budget (yes, we stick to budgets! 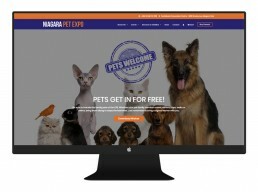 ), we re-skinned the Canadian Pet Expo website and applied a new colour palette for the new Niagara Pet Expo website. 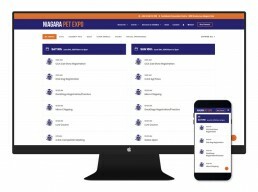 Since we had previously developed online ticket sale functionality for the The Canadian Pet Expo, we were also able to apply this same setup here with ease. 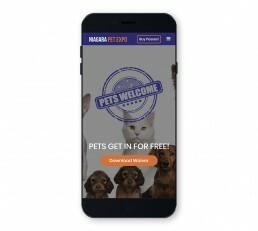 Ticket sales are processed directly on server without the need for a third party ticket processor. This keeps costs low because we bypass a third party ticket sales compay. 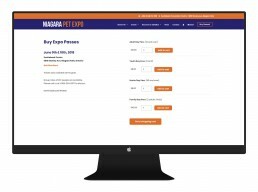 A custom ticket template was also created and tickets are generated in to PDF format and available for download immediately after purchasing. 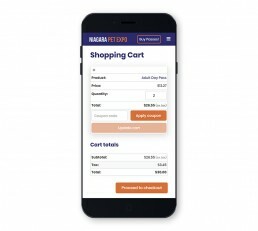 Lastly, an offline barcode check in system was created which allows the Expo ticket sales booths to track ticket check ins without the need for internet.